Cooking in a Versace apron is optional. What's up, y'all? I'm Pedro. I cook fairly often, but there's absolutely no variety on my plate. I have eggs, potatoes, bacon, and avocado for breakfast every morning. Then rice, blackened chicken, and avocado for dinner every night. I usually end up eating out or having the same damn leftovers for lunch. In the name of variety, I wanted to expand my culinary horizons. I know there are plenty of celeb cookbooks out there, but I was interested in a public figure I could better relate to. That's when I remembered 2 Chainz put out a cookbook with his second album. I thought to myself, TRUU. So, I bought the album, grabbed the cookbook from the booklet, and went through it to see what caught my eye. After I chose my fate, I headed to the grocery store and got my shop on. Disclaimer: I'm not a fan of condiments and I especially wasn't excited about anything that would involve mayo. 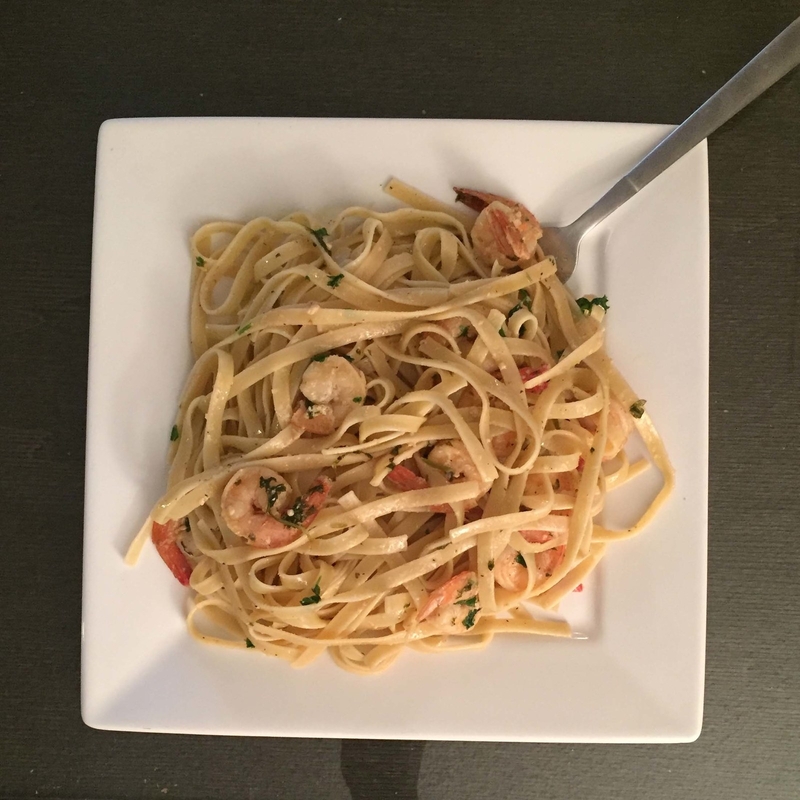 The first day, I decided to cook 2 Chainz's shrimp scampi. 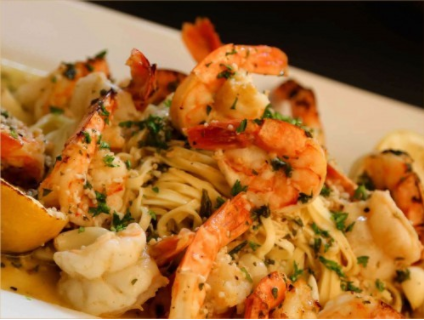 I'd made shrimp and pasta before, so I was pretty confident I wouldn't screw things up. It turned out to be easier this time around. I would usually fry all the shrimp on a skillet, sometimes ending up with some burned or undercooked. All I had to do here was put the shrimp on a pan and throw it in the oven. I was a little apprehensive about pouring all that olive oil on the food, but my false sense of confidence made me fearless. It was good. It wasn't as flavorful as I thought it would be, but it was really easy to make. I would do it again no doubt. All of my confidence was lost when I got to the pasta part, though. Yeah, I know, I know! I was high off the success of the shrimp and seriously forgot how to make spaghetti. But after I googled it, it was mad simple. 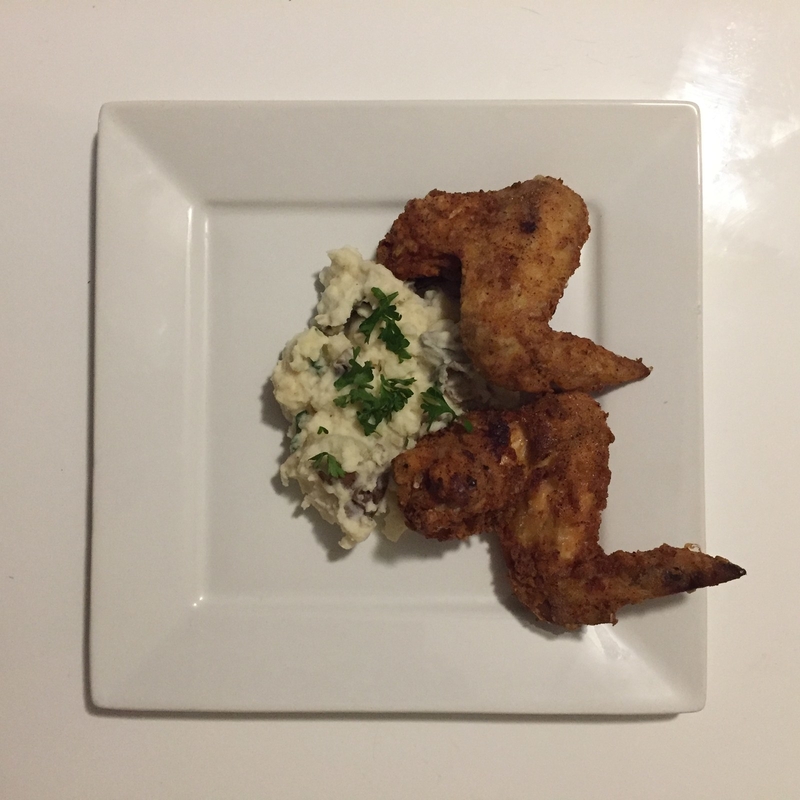 Next, I decided to whip up 2 Chainz's recipe for fried chicken and mashed potatoes. 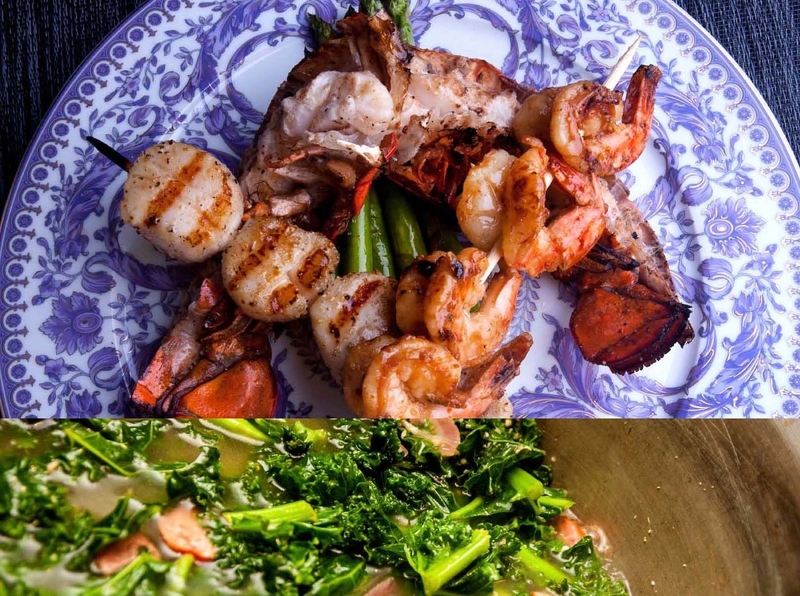 I was nervous about this meal because I've never made either of these dishes. I also don't like mashed potatoes, but I think having them with fried chicken would make them tolerable. The process of frying chicken was way easier than I thought, therapeutic even. However, I did buy a whole chicken and had no idea where to start, so I got chicken wings and began from there. Peeling all the potatoes with a knife was a tedious process, but the smell of the chicken got me through it. I also have a newfound respect for my mom — I feel sorry for being such a picky eater as a kid because these mashed potatoes were good as hell! 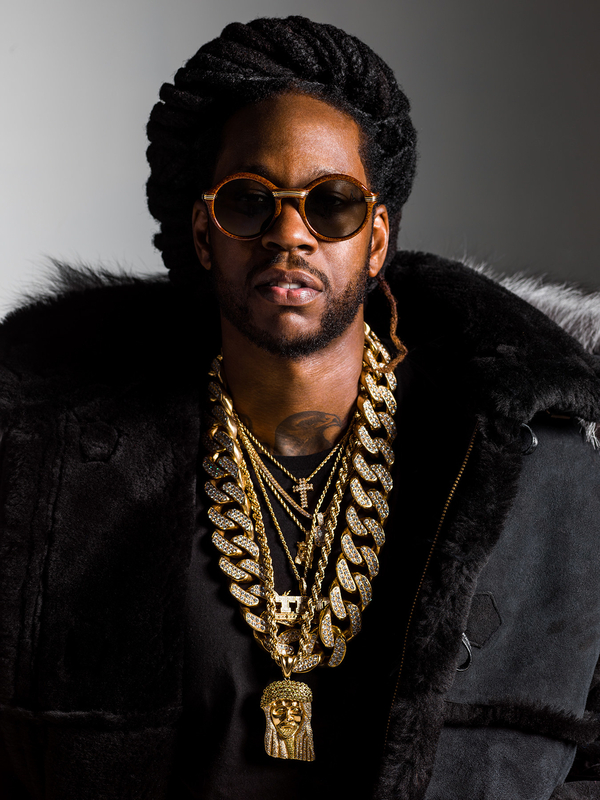 Thank you, 2 Chainz. 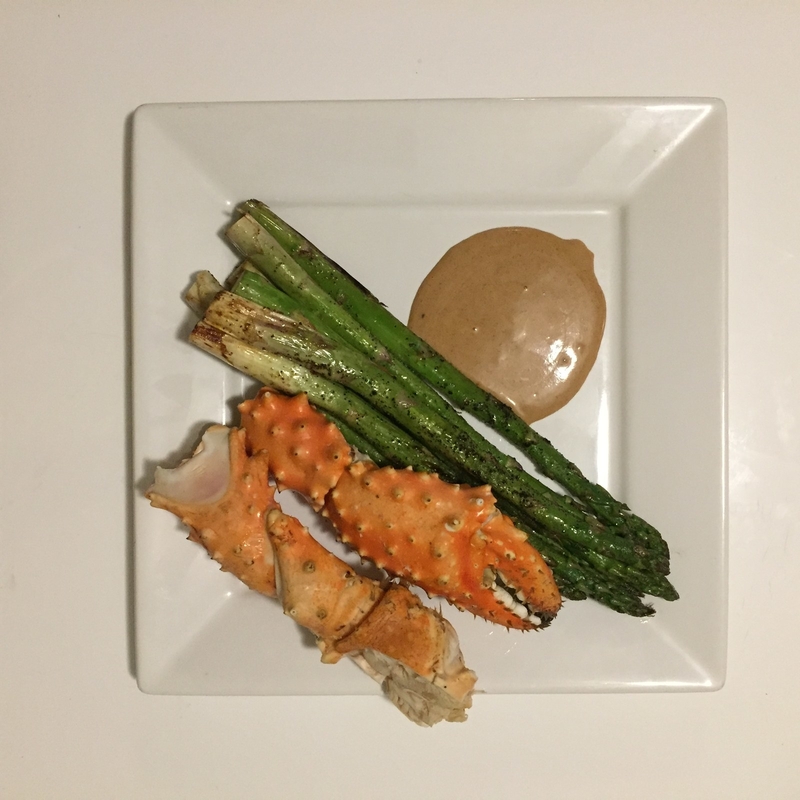 My next challenge came in the form of beer-steamed snow crab legs, sautéed asparagus, and 2 Chainz' "Me Time" sauce. Words cannot explain how excited I was to make these crab legs. I lived in Baltimore, Maryland, as a kid, so seeing Old Bay Seasoning as one of the ingredients ALMOST made me forget that mayonnaise was in the "Me Time" sauce. But I trusted that 2 Chainz wouldn't lead me astray. And he didn't! 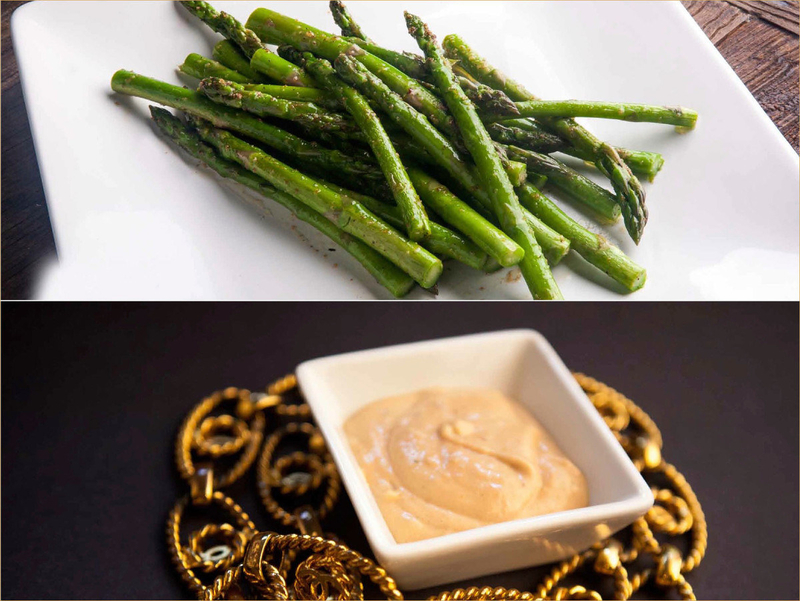 It was really good to dip the asparagus in. My roommate who loves condiments and dipping sauces tried it and was floored. Everything was so bomb. 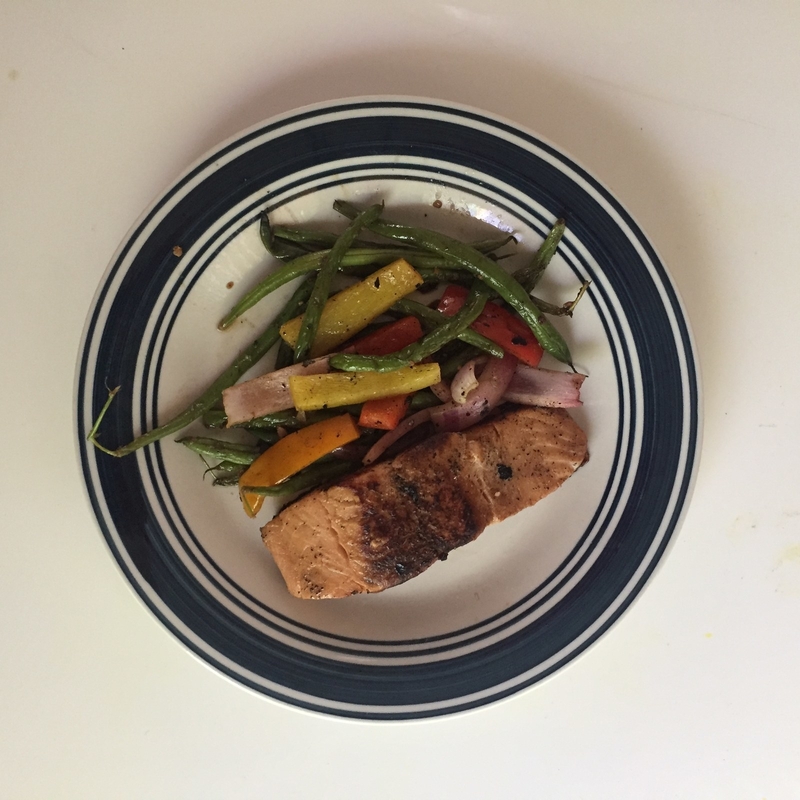 The next night, I made 2 Chainz's teriyaki salmon and garlicky green beans. This was my favorite meal to make and to eat. All recipes in this cookbook are meant for two to four people, so please believe that I went back for seconds. I had to YouTube how to julienne an onion, but once I did that it was on and crackin'. 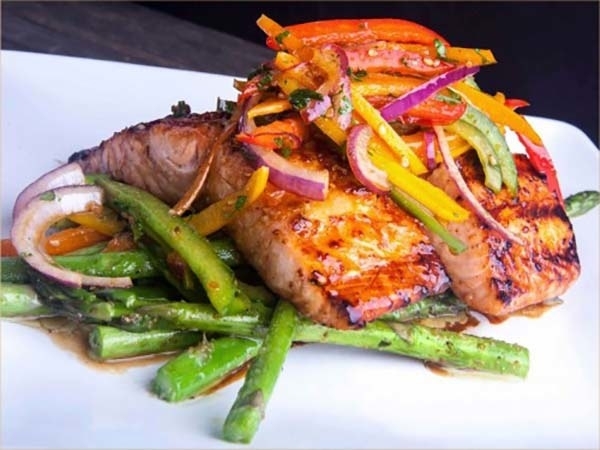 Pouring the teriyaki on the salmon also made me realize I don't use enough sauce in my meals and I should know better. I am most definitely going to make this meal again. Frying the onion and peppers was so gratifying for me, between the smell, the crackling of the grease, and the color of the peppers. This is very minor, I know, but for some reason It made me feel like a real chef more than anything else I did throughout the week. I also have to address these amazing directions. I can't afford a Versace apron and Belly isn't on Netflix, but I know it like the back of my hand. However, I did blast "Fork" at an extremely ignorant level. 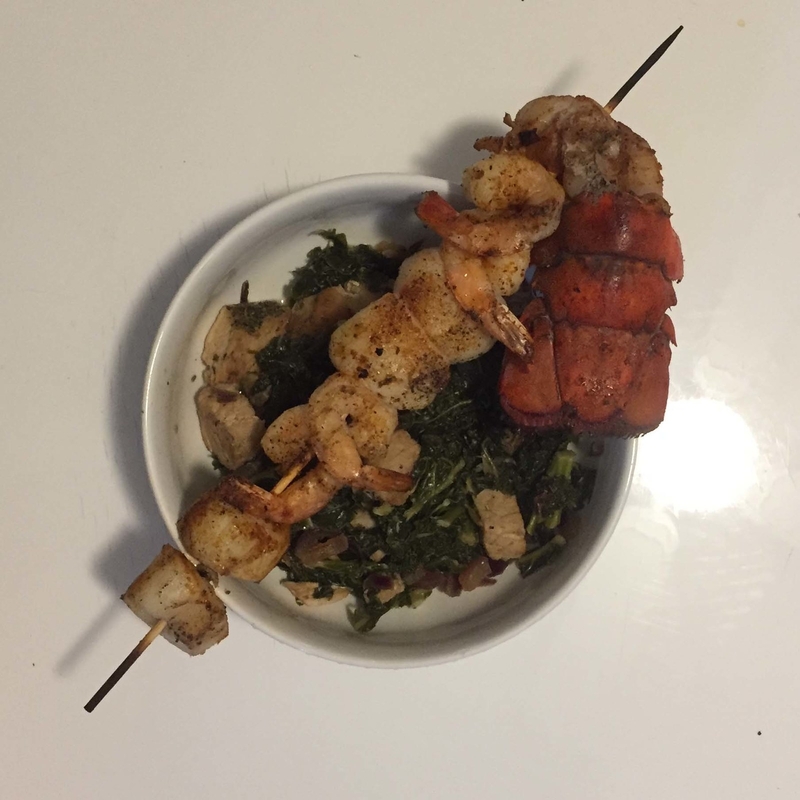 Finally, I made mixed seafood grill kebabs and smoky kale greens. Once again, I was really excited to use some Old Bay Seasoning. I was also pretty confident I was going to kill it, so much that I invited my brother over to eat with me. My roommate has a grill, and I used it to grill the shrimp, scallions, and the lobster tails. 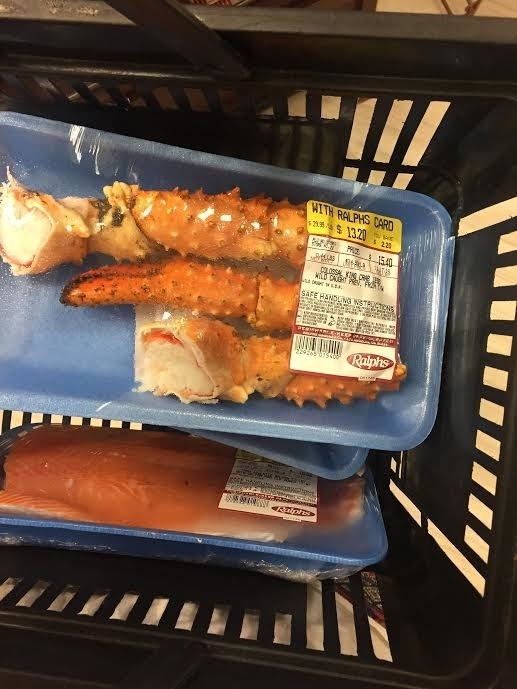 My brother approved, and he's not even a fan of seafood. I did myself an injustice by sleeping on the smoky kale greens. They were the best part of the meal! I have to admit, I had absolutely no idea what chicken stock was when I was looking at the recipe for smoky kale greens. Forgive me! I eat the same thing every night so anything that isn't rice, chicken, and vegetables will stop me in my tracks. 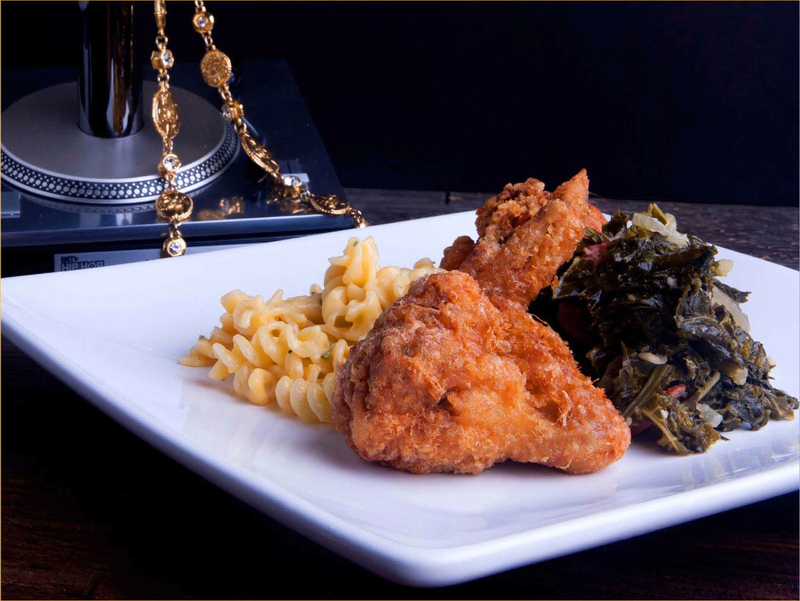 Here's what using 2 Chainz's cookbook taught me. 2. Cooking can be therapeutic. 3. 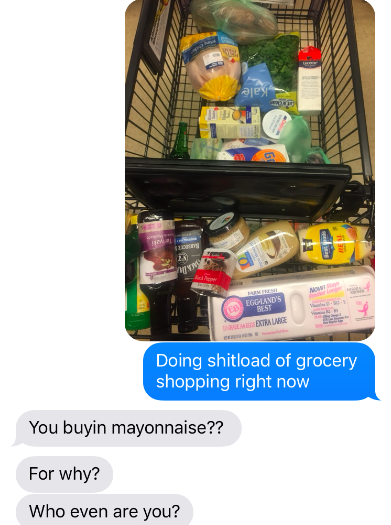 Mayonnaise isn't as awful I thought. 4. 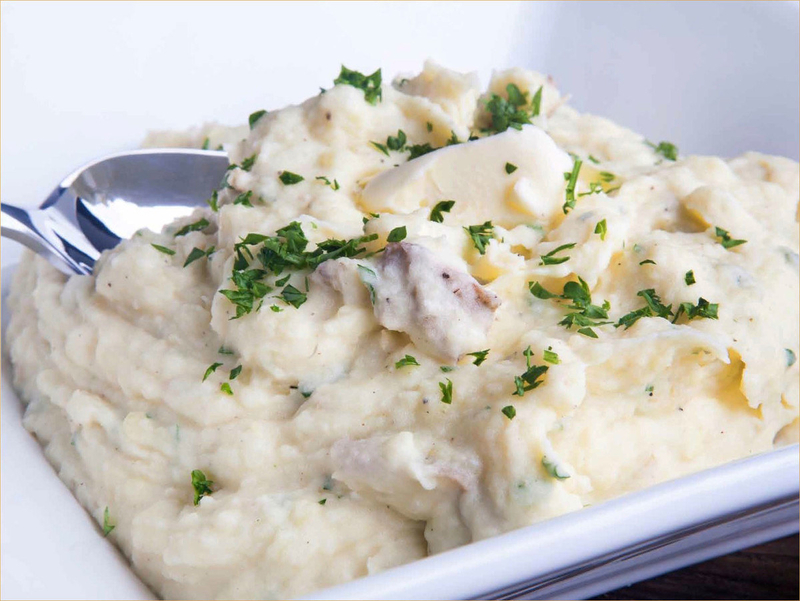 Mashed potatoes are pretty good. 5. Sauce is your friend. 6. 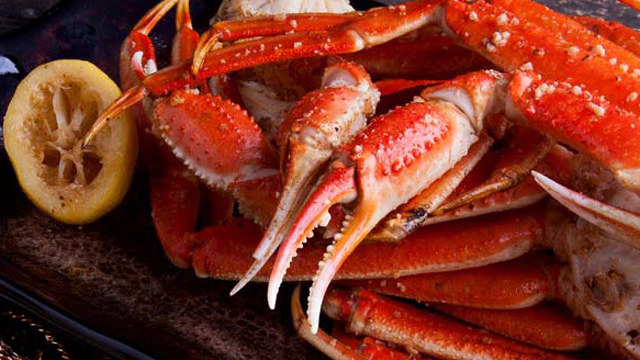 Old Bay Seasoning is PERFECT with seafood. 7. I need a Versace apron. 8. I need to buy Belly on DVD. 9. Julienning will make you feel like a boss. 10. Read the directions thoroughly and YouTube how to do something before starting. 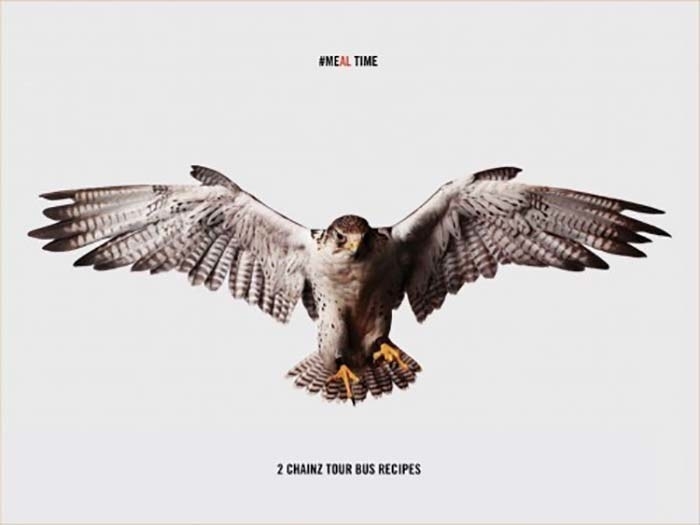 If you want to try out any of 2 Chainz's recipes and have your own taste test, get his album, because the cookbook comes with it, here!